Why would I want to be a TKCS Coach? What’s in it for me? How much money will I make? What additional opportunities are there for more income? What does it cost to become a TKCS coach? How many clients will I have? Do I have to take the clients you assign? Why would I want to be a TurnKey Coaching & Development Solutions (TKCS) Coach? What’s in it for me? Thanks to our global marketing efforts, TurnKey Coaching & Development Solutions affords you extensive reach in the exposure of your coaching business. TKCS generates the client demand for you, and then pays you for your coaching services. You enjoy the regularity of a steady stream of qualified clients to your coaching business. We do the marketing – you do the coaching! Our goal is not to become a coach’s primary source of income. However, our coaches enjoy the additional revenue streams from simply showing up to do what they love and do best – coach. Our compensation for individual and group coaching is extremely competitive because we assure our clients only the highest quality of coaching. Additionally, there are opportunities to earn even more income through other means, such as leading group coaching sessions, conducting teleclasses and teleseminars, developing off-the-shelf workshops or other materials, writing articles, referring business to us, making public appearances on our behalf via our Ambassadors’ Program, and more. There are NO application, registration, or membership fees. The exact number of clients any given coach will serve will be subject to individual determination between that coach, TurnKey Coaching & Development Solutions and our customers’ needs. We work with coaches and clients all over the world. Some of our coaches have more than 10 clients while other coaches have not yet been engaged. It will all depend upon the client’s needs, location, objectives, budget, etc. No. When we match you with a client, we will formally offer you the engagement along with a summary of the program, the relevant fees, and any other client requirements. You may accept or decline any coaching assignment. We ask that you respond within 48 hours so that we can continue to move the process forward, especially if we need to assign a different coach. Thanks to our matching process, the clients and coaches are typically a very good fit. On occasion, however, a client or a coach may request a reassignment. In such a case, the Program Manager will assess the circumstances and determine the most appropriate resolution—reassignment being only one of the possibilities. Yes, TurnKey Coaching & Development Solutions promises and delivers the finest quality coaching services available in the world. We are proud of our ability to attract and service the finest clientele, as well. In order to maintain this top-notch standard of excellence and to meet our quality commitments to our customers, we use only coaches who demonstrate excellent coaching ability and the highest integrity. These attributes are crucial in the delivery of top-caliber coaching. We believe coach training is important to these standards and accordingly look for coaches who have invested in their own professional development. 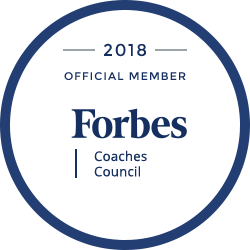 Several of our coaches hold International Coach Federation (ICF) credentials while others do not. Although formal credentials are viewed as a plus, it is NOT a requirement. Conversely, having an ICF credential or other training certification alone is not sufficient for automatic acceptance as a TurnKey Professional Coach. The availability and affordability of professional liability insurance for coaches is still uncertain and spotty. The insurance market is regulated by each state which complicates the underwriting of this kind of policy. At this time, TurnKey Coaching & Development Solutions is NOT requiring its coaches to carry professional liability insurance. We anticipate that some corporate clients will mandate it in the future, such that coaches chosen for the assignment will be required to provide proof of professional liability insurance in order to accept the engagement. Several new options and policies are coming into the market every day, and we strongly encourage you to procure a policy as soon as it becomes available and affordable in the scope of your business. In time, when this coverage is more broadly acceptable, we hope to make it a requirement. This is one more way we can provide our sponsor companies the peace of mind that they desire. As this issue evolves, we will keep you well informed of any pending requirements and also provide a significant transition period for compliance. Please note: If you are a member of the International Coach Federation (ICF), you are eligible for professional liability insurance through one of its resource partners, Westminster Indemnity Ltd. A very high quality professional indemnity and public liability insurance is now available to ICF members in Ireland, the United Kingdom and the United States – at a very competitive premium. You may want to check it out: https://westminster.global/i/ICF/ . Click on the country-specific flag to see details and get a quote. In addition to the annual reorientation sessions to update Independent Contractor Coaches on the Company’s procedures, policies, prescribed methodologies, and current developments, there are numerous opportunities for coaches’ continuing education with TKCS, including teleclasses, seminars, workshops, and ongoing peer coaching. We are dedicated to the continuous training, support and professional development of all our coaches and the coaching profession worldwide. Because of client confidentiality, the identities of our clients cannot be revealed. However, we can tell you that our clients are, typically, executive, supervisory or professional employees of large corporations, constituents or fans of national public speakers or personalities, or members of on-line membership businesses. Geographically, our clients may be located anywhere in the world. From a practical perspective though, they are only as far away as the other end of a telephone line. Read through the INDEPENDENT CONTRACTOR COACH SERVICES AGREEMENT. Complete and submit our four-step ONLINE APPLICATION. “Whitelist” our domain to ensure you receive our communication (add https://turnkeycoachingsolutions.com/ to your Safe Sender’s List). Watch your inbox for information regarding available interview appointments. Complete an interview with our Lead Coach(es). Upon careful review of your application and interview, you will be notified quickly of your acceptance or our reasons for decline. When you are matched with a coaching assignment, you will be emailed an offer for the engagement which will include the relevant fees and any other client requirements. You will then decide whether you will accept or decline the assignment. Do what you do best – COACH.